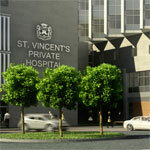 St. Vincent’s Healthcare Group is comprised of three hospitals. St. Vincent’s University Hospital is a major academic teaching hospital serving a patient population in excess of 500,000 people. Founded in 1834 the hospital has provided continuous care regardless of a patient’s ability to pay for the services it provides. 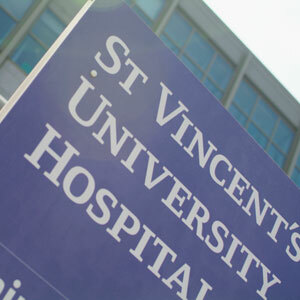 Education and research are significant components of the philosophy of St. Vincent’s, and the hospital is a National Centre for many illnesses including adult Cystic Fibrosis and Pancreatic Cancer and Liver Transplantation in addition to being one of the designated centres for Cancer across Ireland. Visit www.stvincents.ie for more information. 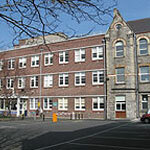 St. Michael’s Hospital is an acute general hospital providing a range of acute and specialised hospital services to the people of South Dublin and Wicklow. St. Michael’s first opened its doors to patients on the 12th of June 1876 and is now under the care of the Sisters of Charity. St. Michael’s is part of the St. Vincent’s Healthcare Group and is a nursing teaching hospital affiliated to U.C.D. Visit www.stmichaels.ie for more information. St. Vincent’s Private Hospital was established by the Religious Sisters of Charity in 1974 and is located beside St. Vincent’s University Hospital. As a private hospital delivering the highest standards of patient care it plays a significant role in the Irish acute hospital sector. The hospital has 236 inpatient beds, 32 general and 22 oncology day care beds, 12 consulting suites, operating theatres for major and minor surgery, endoscopy, radiotherapy, cardiology and diagnostic imaging facilities which includes General Radiography, CT, MRI, Interventional Radiology, Mammography, Ultrasound and Dexa Scanning. Visit www.svph.ie for more information.